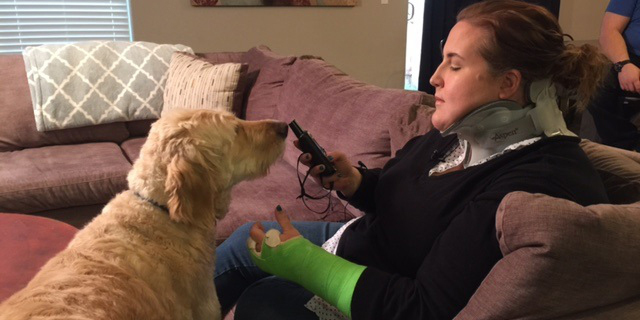 Jen Edwards survived a 60-foot fall in the backcountry thanks to a daring search and rescue operation, her inReach, and her brave dog Ruben – now she wants to return the favor to the men and women that saved her life. Jen Edwards had always wanted to complete a solo backpacking trip through the Illinois River Trail in southern Oregon. 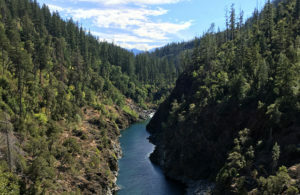 The trail, considered one of the most scenic and rugged paths through the Rogue River-Siskiyou National Forest, meanders 60 miles through stands of old growth forest, steep river canyons, and fields of beautiful wildflowers. When the opportunity came for Edwards to embark on the challenging journey this September, she knew she couldn’t say no. Edwards then set out to learn about the tools solo backpacker use to mitigate risk when they venture outside of cellphone service. One of the devices she kept reading about was the DeLorme inReach. She decided to purchase an inReach SE and activate on a Freedom Plan prior to departing on her trip, a decision that would later save her life. 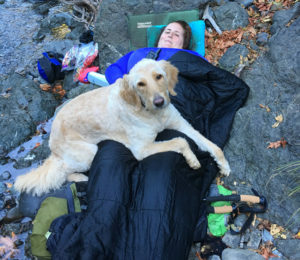 About 10 miles into her journey Edwards slipped on some loose shale that covered the trail and tumbled down a 60-foot ledge, hitting her head on a boulder and landing face down in a creek bed. Still conscious and strapped to her 40-pound pack, Edwards crawled on her stomach out of the water and up to drier land. It was then that she thought to grab the inReach, which she wore around her neck on a lanyard, and press the SOS button. She had suffered a broken neck, broken hand, a concussion, and several lacerations. 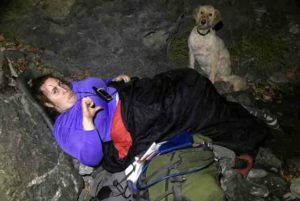 About 45 minutes after the fall, her dog Ruben found her, and remained by her side throughout the entire ordeal. At one point, Edwards heard a rustling nearby and wasn’t sure who or what was approaching her. Ruben let out a loud bark, and Edwards turned on her flashlight to see the rear end of a black bear running back up the trail. At 11:45 p.m. a member of Curry County Search and Rescue reached Edwards’ location and administered first aid. The search and rescue worker stayed with Edwards through the night as they waited for additional personnel to arrive by daylight. At 9:20 a.m., the Curry County Search and Rescue team arrived at the Illinois River Trail Head where they met up with four Josephine County Search and Rescue members. They then hiked the trail to Edwards’ location while several other members hiked into an area known as “Buzzards Roost” to relay radio communication and to provide assistance if needed. 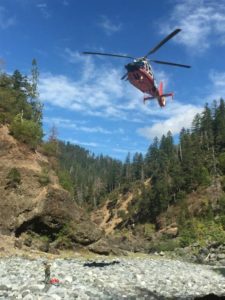 The U.S. Coast Guard had also been contacted for assistance and they deployed a helicopter from North Bend Air Station to assist in the rescue. The Coast Guard helicopter and rescue swimmer were not able to reach Edwards in her position in the creek bed, so the search and rescue members had to move her across the Illinois River to a safe area. Around 1:50 p.m., Edwards was placed into a Stokes basket and raised to the helicopter and transported to a hospital in Grants Pass where she was treated for her injuries. Ruben was hiked out by the search and rescue team and later given to Edwards’ family members. Edwards also now wants to return the favor to the amazing men and women that responded to her distress signal that day. 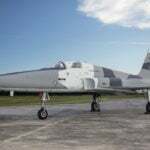 “They risked their safety for mine and had something tragic happened in that effort, no one would know their location because of the equipment they currently have. 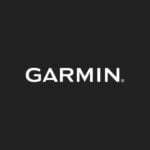 I owe everything to them and my goal is to be able to raise enough money to buy several of the inReach devices as well as a year worth of service for them.